You can hardly believe you created something so perfect. It’s like nothing else in the world exists the minute your infant is placed into your arms. You’re swept away by pure joy for an hour or two. Then it hits you – you’re going to have to leave this perfect, blissful cocoon with all of these helpful nurses and doctors. 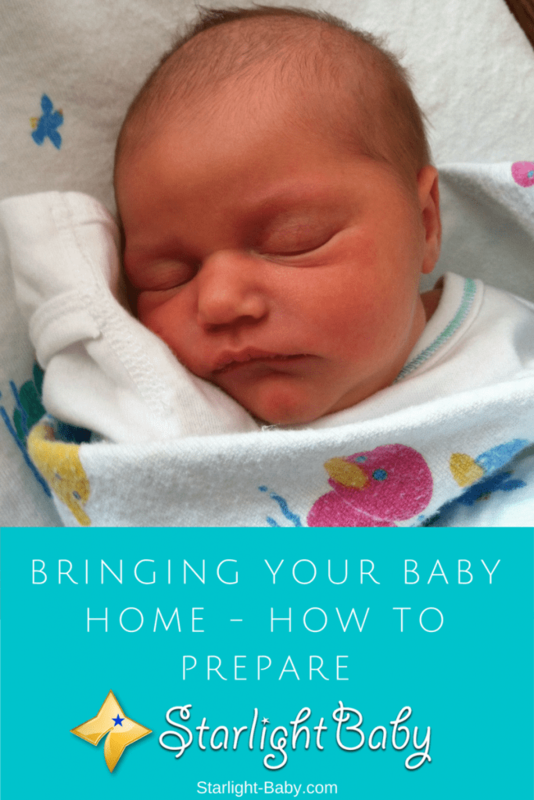 Now, it’s time to bring your baby home and in that moment, nothing is more terrifying! Assuming you’ve given birth to your little one in hospital, there are a few things you’ll need to do before you leave. Don’t feel pressured into leaving right away – Firstly, and most importantly, don’t let yourself feel rushed into leaving. Now this doesn’t mean getting back into bed and refusing to leave because you’re not ready! As tempting as that may be, the truth is, you’ll never be 100% ready to leave the comfort of the hospital and go it alone – it’s always going to be terrifying. However, what it does mean is you should stay and ask as many questions as you need to. For example, when will your little one need their first check up? Do you need any advice on settling them in? The doctors and nurses are there to help and ease your worries. If you take the time to ask questions, it will make the journey home a lot less worrying. Make sure you and your baby are dressed appropriately – You’re also going to want to change into some comfortable clothing before you leave. Don’t expect to fit into your pre-pregnancy clothes! Instead, pack loose-fitting clothing; especially pants with an elasticated waistline. Once you’ve got yourself dressed, it’s time to dress your little one. It’s really important here to ensure you do not over-dress your baby. To you, they’re fragile, helpless and you’ll instinctively want to wrap them up to keep them warm. However, babies are naturally a lot warmer than you might think. Therefore, wrapping them up in multiple layers can cause them to over-heat. Obviously if it’s really cold outside you’ll want to wrap them up a little more, but in normal weather warm, thick blankets aren’t needed. The actual logistics of getting your baby from the hospital to the car is something you might not have given much thought to. Did you know for example, that many hospitals won’t let you leave with your baby until they are secured safely in a carrier? You can’t just walk out with your baby in your arms, they need to be safe and secure. For the drive home, you’re also going to need to strap your baby safely into a rear facing car seat. Regardless of how short the drive may be, it’s illegal and unsafe to carry your baby in your arms during the journey. Once you’ve arrived safely back at home, you’ll be overwhelmed by the number of people who want to stop by. Everyone is desperate to meet your little one, but it’s really important to hold off having too many visitors until you’ve settled in. It’s a really emotional time bringing baby home and many parents don’t realize just how mixed up their emotions can be. Without adequate time to settle in and find your bearings, you could end up being overwhelmed by it all. You’ll typically find your newborn sleeps a lot during the first day or two. This is an excellent chance for you to catch up on some sleep. Remember, you’re going to have a LOT of sleepless nights, so you need to rest and recover as much as possible while you still have the chance. It’s extremely common for new parents to constantly worry about their baby’s health. Many even have their doctor on speed dial! To prevent frequent calls to your pediatrician or doctor, it helps to know when exactly you should seek help. Now, these are just some of the main signs to watch out for. However, don’t be afraid to call the doctor if you suspect something is genuinely wrong. They would much rather you give them a call to ease your mind. Overall, bringing your little one home for the first time can be frightening. The thing to remember is you are not alone. All parents have the same worry and nobody knows what they are really doing, even after reading countless parenting books! Parenthood is a learning curve which starts even before you leave the hospital, and only gets more interesting and rewarding as time goes on. Have any stories to tell? We know bringing your baby home can be an interesting and exciting time, and undoubtedly a memorable experience. We’d love it if you’d share yours with us! I remember when we brought our baby home from hospital. The baby was three days old. He was so delicate that I was afraid to hold him in my arm. We had to take the baby back to hospital a week later for vaccination. I remember every thing. sadly, we did nothing for baby’s home coming. We had to travel to another city for delievery because there were no good doctors in our town. We lived in our mother’s home for most of the nine months and another one month when the baby was born. Also, you and your wife have just been through enough stress during the delivery so it is understandable to be unprepared for a homecoming party for your baby.